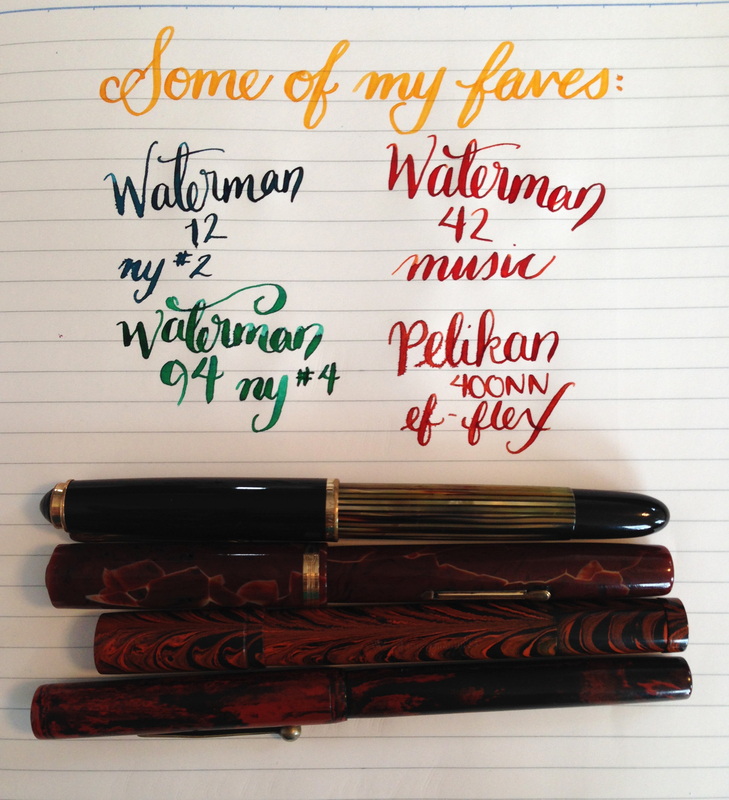 If I really had to pick a few pens from my pen case to call my favorite, these four would be among them: a Waterman 12, a Waterman 94, a Waterman 42, and a Pelikan 400NN, all with flex nibs (to various degrees). I think they’re beautiful, interesting pens, and the nibs are out of this world. This entry was posted in Vintage Pens and tagged Flex, Pelikan, Waterman. Bookmark the permalink. Follow any comments here with the RSS feed for this post. Post a comment or leave a trackback: Trackback URL.